Many companies are engaging prospective and existing customers through intelligent social conversation automation that allows them to participate in thousands of real-time topic specific conversations. A computer, though not quite as witty as you or I, does seem to have a much better ability to draw from its memory. This dynamic difference allows a computer to provide intelligent information with pin point accuracy. It doesn’t misinterpret the questions, it doesn’t provide misleading data, it doesn’t try to “oversell”, and it works around the global clock 24/7. It’s obvious with so many benefits that large companies are moving from SEO, content writers, and social teams to intelligent response engagement. But for many small businesses it’s unclear as to what social automation really is. There are many tools that allow for Social content page monitoring but most without the ability to engage. This is primarily due to the simplicity of social feed monitoring. The most basic of web applications can pull a social feed for display. To engage in the conversation is a challenge and to engage in a specific conversation based on the topic discussed is a significant challenge that only a bit of intelligent design can solve. Applications have evolved to recognize images, content, languages, and even a bit of emotions within the context of the content. Leveraging these capabilities you can point a computer in the direction of a potential conversation and put it on auto-pilot. For example, if you sell shoes and need to unload some running shoe inventory you could track some conversations within several outdoor activity pages such as; facebook.com/ultrrunningmag, facebook.com/gonerunninghk, and even competitor pages like facebook.com/PUMARunning. There are no limits to the pages you can monitor, facebook says they have over 65 million public pages you can potentially engage contacts in. Once the application recognizes a conversation that includes the target phrases/keywords it then prompts a conversation specific response such as “the right shoes make a great run, check out myshoestore.com to find the perfect fit”. 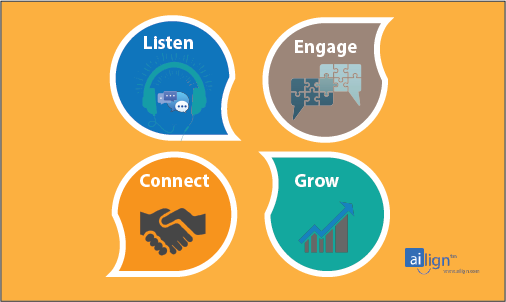 This simple but elegant combination of social listening with intuitive conversation engagement is a very powerful tool in building relationships. While some are still buying random ad space and spending thousands on very limited audience influencer posts those utilizing social engagement campaigns are literally running away with all the leads. Why? They are engaging in relevant real-time conversations about specific topics that apply to their product or service. A banner ad, PPC, or in page sponsored ad is typically never specific to the conversation and often are outright ignored by any potential viewing audience. This entry was posted in Automated Information, Digital Strategy, Social Media and tagged social ai, social bot, social media. Bookmark the permalink.